. 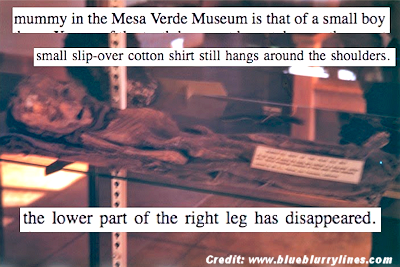 . . Further information and documentation continues to be found, and it has been proven that the mummy was a young child that was displayed at the Mesa Verde Museum. Specific details present in the photograph are described. . . .